Superior GROUND THAW, CONCRETE CURE & FLAMELESS HEAT for any job! 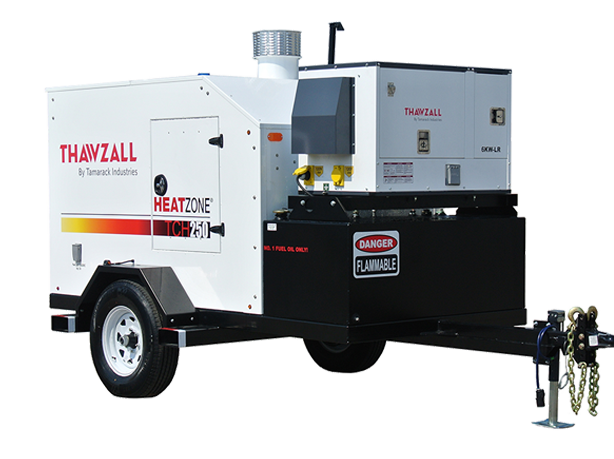 Whether ground thawing, concrete curing, or space heating, nobody does it better than Thawzall. Our exclusive line of HEATZONE® Glycol and Flameless machines are RELIABLE & USER FRIENDLY! Superior GROUND THAWING, CONCRETE CURING & INDIRECT HEAT for any job. 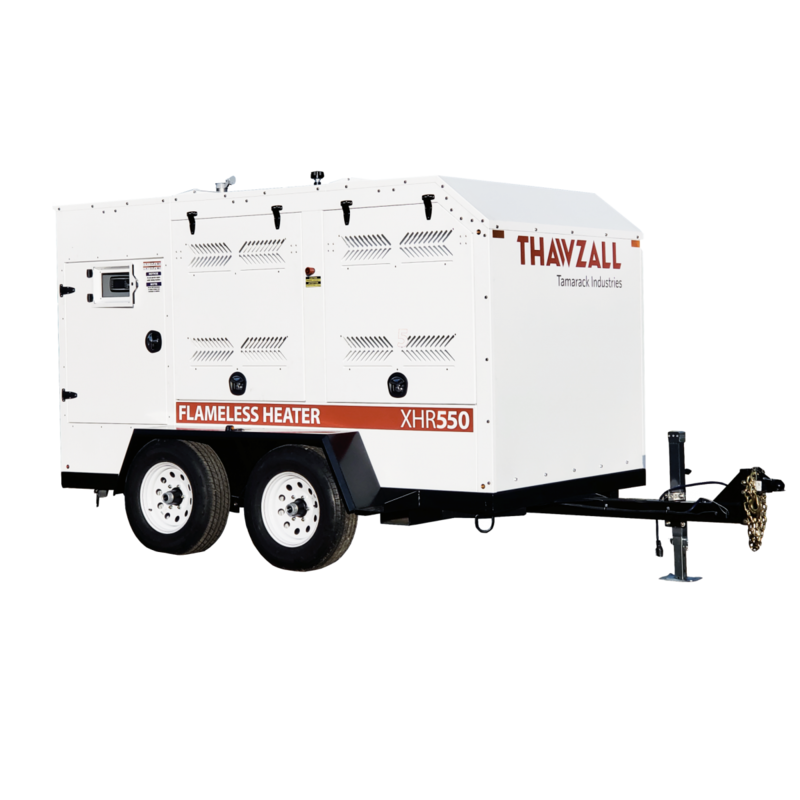 Delivers a blistering 250,000 BTU/HR of heat with unparalleled uniformity thru 5-600’ zones. It THAWS more quickly, CURES more evenly, and is one of the most fuel efficient machines on the market! Newly designed “series flow pattern” provides more flow for better heat transfer especially when Concrete Curing. 1 – 74.5 hp tier 4 engine provides more reliability, no def required, no regen required and advanced intelligent electronic controls power up the engine to the heating requirements.